Of course we've been leaking our own position to distant stars via radio and television signals for six decades now, largely ignorant of the cosmic implications. But several notable scientists, such as Stephen Hawking, have publicly voiced concerns about revealing our presence to other civilizations. These concerns largely draw from the darker chapters of our own history, when a more advanced civilization would subjugate and displace a less advanced one. It might be too late for us to withdraw back into invisibility, but maybe not for other intelligent alien civilizations out there. A far-off planet's inhabitants might prefer to hide from the likes of us. Recently, my graduate student Alex Teachey and I published a paper that proposes a way to cloak planets, as well as a way to broadcast a civilization's existence. Even if we're not manipulating our own signal in this way, it doesn't mean other planets out there aren't. It's possible what we see as we scan the universe for other habitable planets has been engineered to disguise or highlight the existence of other civilizations. When a planet passes between us and its star, the star's light seems to dim. Humanity's most successful technique for detecting other planets is the transit method. A transit occurs when a planet appears to pass in front of its parent sun, blocking out some of its starlight for a few hours. So if we have our telescopes trained at one part of the universe and a star seems to fade out for part of a day, that tells us that a planet has temporarily come between us as it goes about its orbit. 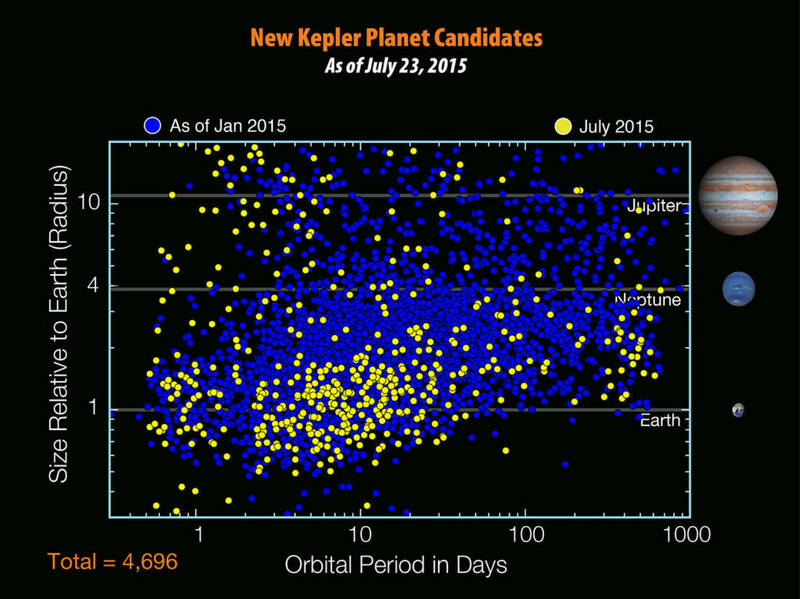 The Kepler Mission identified 4,696 planet candidates by July 2015. Using this technique, NASA's Kepler Mission has discovered several thousand planets. It seems likely that any advanced civilization would be aware of this simple method. Each time a planet transits its star, its existence is essentially being advertised to all points lying along the same plane as the planet and star. An advanced civilization might be okay having its planet's location, size and even atmospheric chemistry advertised across the cosmos. Or it might wish to conceal its presence. If the latter, it might choose to build a cloak. Lasers provide an efficient means of countering that dip in brightness. All a laser's power is contained in a relatively narrow beam, as opposed to spreading out in all directions like starlight does. Due to the way light spreads as it travels - called diffraction - the laser beam would spread to encompass entire solar systems after journeying many light years across space, bathing that distant planetary system within the cloaking beam. No dip in brightness makes it look like there's no planet there at all. Alex Teachey describes how a cloaking system would work. While Kepler sees light in only one color, advanced civilizations might use more sophisticated detectors capable of collecting light at all wavelengths. Here too, our current technology could cloak us using modern tunable lasers, for a cost of about 10 times more power overall. More advanced civilizations might be able to detect other fine details of the light's properties, betraying the cloak. But here too there's no reason why with a little bit of work we couldn't engineer solutions, leading to a near perfect cloak which could be targeted at distant stars where we suspect someone might be home. Forget the Earth though; we never really thought of this as something humanity should or should not do. Instead, we posit that if our rudimentary human technology can build such an effective transit cloak at relatively little economic cost, then more advanced civilizations may be able to hide from us with respect to all detection techniques. The universe might not be all that it seems. Why might a civilization choose to wrap itself in invisibility? It could be a sort of insurance policy: find the nearby planets with potential for supporting life and turn on a targeted cloak - just in case a civilization ever emerges. Such a policy effectively buys them time to reveal their presence when they see fit. Given how cheap such a cloak would be, an insurance policy for your home planet is perhaps not as strange as it seems. It's certainly not implausible a civilization might want to bide its time - surveilling the neighbors for a while before rolling out the intergalactic welcome mat. But there's a flip side to this technology that could turn it from an invisibility cloak into more of a we-are-here spotlight. Perhaps not all civilizations are xenophobic - some might want to talk. If you wanted to reveal your presence to other civilizations as cheaply and unambiguously as possible, how might you do it? Imagine looking at some data of a distant planet - which has become a somewhat normal enterprise for astronomers - and noticing something weird. The signature of the planet has a strange shape - in fact, none of your models are able to explain it. It looks like someone has imprinted a series of spikes into the data, following the prime number series. Nothing in nature can do this - you have just detected another civilization's beacon. Alternative use of the cloaking system's laser could be to make a planet's signal look highly artificial, instead of hidden. Now they don't care about building the perfect cloak; they want to be found! Could such signals be lurking in our existing measurements? Perhaps so. No one has ever looked, and we hope our work sparks efforts on that front. It may be a long shot, since to even get to this point we need to try to imagine how aliens might think - but given the scientific prize on offer it's also worth it. If we identify a strange transit, it may well contain information encoded via laser light pulses. 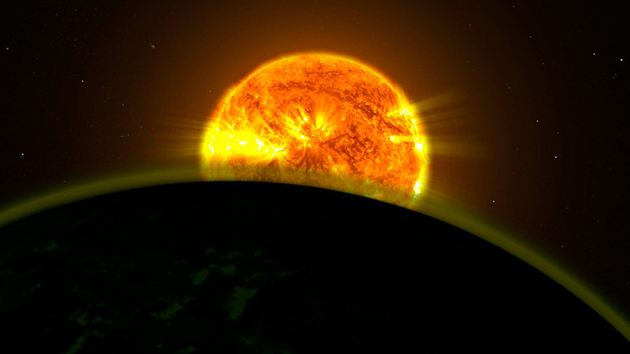 Huge volumes of information could be hidden within the transit signatures of other planets. For us, this was an exercise in intellectual curiosity. We simply calculated how much energy it would take to either cloak or broadcast a planet's existence. Whether we should seriously consider wrapping Earth in a protective cloak of invisibility - or conversely, getting serious about trumpeting our existence - via laser manipulations is something we should all decide together.